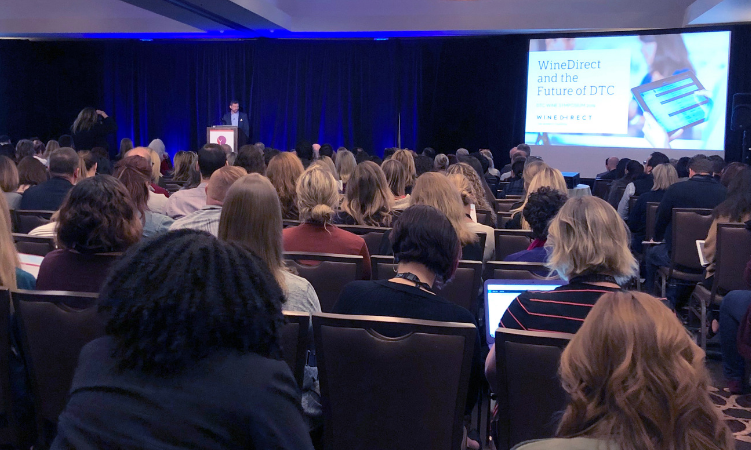 Every January, the Direct to Consumer Wine Symposium highlights trends and challenges in the wine industry as we head into a new year. This benchmark event offers content for everyone, whether you're interested in high level strategies for running a successful small brand, or social media rules and regulations your winery must follow. Our team covered a lot of ground this year, spreading ourselves out across numerous sessions to gather as much relevant insight for you as possible. Here are our top takeaways. The dollar value of DTC wine shipments reached an all-time high in 2018 and surpassed the $3B mark, according to the 2019 Direct to Consumer Wine Shipping Report issued by ShipCompliant with Wines & Vines. This figure is up from $2.69B in 2017. We actually believe that DTC is much larger than $3B. Here's why: While this figure takes shipped DTC orders into account, it does not account for carry-out tasting room orders or pick-up club orders — both of which represent significant value. Our platform alone enabled $535M in pickup and carry-out sales in 2018, accounting for nearly 45% of winery revenue processed on our platform last year. The report also underscored the continuing trend toward premiumization. Average price per bottle rose to $39.70 in 2018, the greatest year-over-year increase since 2011. Further, the share of wines worth more than $100 that shipped DTC increased, while conversely, the share of wines worth less than $30 that shipped DTC decreased. Another notable highlight: Sonoma County overtook Napa County last year in shipment volume, becoming the region with the most wine shipped by volume (1.8 million cases). "Secret shop your competitors" was the advice of John Trant of Italics Winegrowers during a wine tourism discussion. Observing other wineries' hospitality teams from the vantage point of a customer can reveal what works and what doesn't. Note what you do and don't like about other brands' experiences, and use that knowledge to build an offering that is uniquely yours. In "Wine Clubs Reimagined," Patricia O'Brien of Danza del Sol Winery said she models her club's onboarding experience after fitness studios and gyms. First-timers get certain perks such as tastings and tours and existing members always receive a thoughtful birthday card. Members who cancel are offered a discount voucher. Patricia noted that KPIs for her clubs always include tracking not only net sales increase, but member engagement. Storytelling sells. Sam Schmitt of Adelsheim in Oregon shared how he increased tasting room sales by 60% and doubled revenue in two years on flat traffic by introducing storytelling into the tasting room sales process. Sam recommends establishing brand bullet points for your team, and allowing them leeway to tell the story in an authentic way rather than creating the same script for everyone. It's also a good idea to have multiple storylines at the ready in case the first one doesn't resonate. Jim Agger, VP of Sales and Marketing for WineDirect, presented "How to Attract and Retain the Right DTC Customers." Declining visitation coupled with the rise of the urban tasting room poses a challenge for many wineries. Average monthly visitor counts have dropped since 2015, with numerous guests opting to visit fewer wineries per trip. Wineries are focused on offering higher quality experiences, which takes longer — and is more expensive. Rising to these modern challenges requires modernizing your DTC strategy. One way to do this is through an online reservation system. Our partner Tock allows you to upsell and cross-sell in advance, reduce your no-show rate and attract guests at off-peak times. As a result of implementing Tock, MacRostie Winery & Vineyards now seats 20% more guests each Saturday using their table management tools. Offering reservations allows you to reduce your administrative workload while offering guests more personalized service. Real-time customer data sync means you don't miss a beat with your clients, whose appreciation for your top notch customer service will translate to sales. Our 2019 DTC Report revealed that while relatively few (36%) winery respondents are leveraging online reservations, a full half of those who aren't plan to add them in the next year. 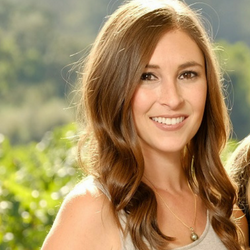 When an employee at Fidelitas Wines asked Jess Zander to transition from a tasting room role to a wine club role, she created a brand new position for her as second club manager. This not only satisfied the employee, but led to a financial payoff: increased club sales. Carla Jeffries with Blue Rock Vineyard notes that partnering with concierge organizations like Inspirato can connect you with the right customers for your brand, especially if you're operating on a limited use permit. With trusted referral partners — including drivers, concierges, wineries and trade organizations — you can boost ROI. The town hall session on email and social media marketing was packed with attendees, and thoughtful questions abounded. Discussion points ranged from how often to send emails to where to find inspiration to methods for testing content on different email clients. 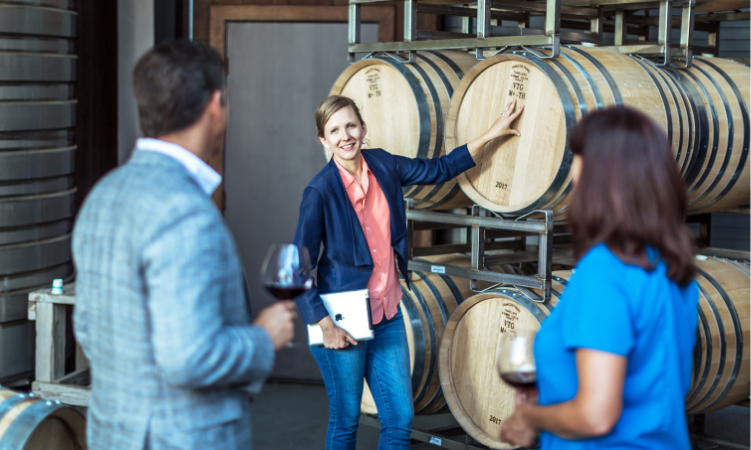 It’s clear that many wineries are focused on stepping up their email game in 2019 and refining their digital strategies overall. Susan DeMatei of WineGlass Marketing presented on the panel "Competing in the Age of Amazon," focusing on how to deliver targeted email and social media campaigns using tools like Google Analytics and MailChimp. With the advent of easy to use, affordable digital marketing tools, sophisticated marketing is possible for even a small winery team. 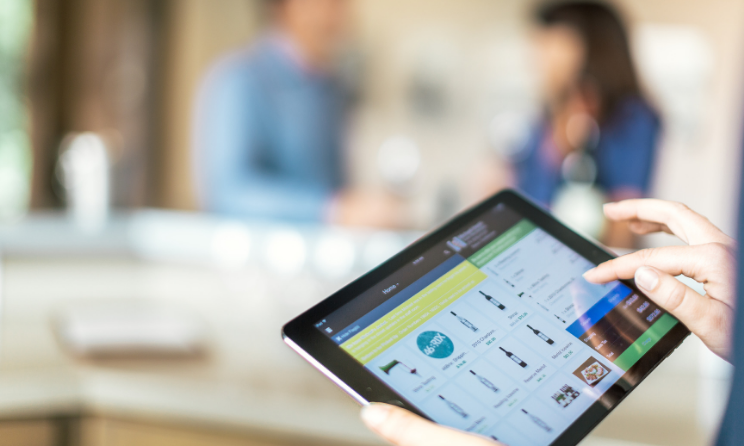 Ecommerce is a key sales channel your winery may be underutilizing. Susan noted that 75.6% of shoppers abandon items in their cart when shopping online. Incorporating email automation tools into a multichannel campaign can move people down the purchasing funnel, ensuring that at least some of those window shoppers turn into buyers. The proof is in the numbers: according to Susan, 75% of email revenue is generated by triggered campaigns. Looking for more key insights from the DTC Wine Symposium? Fill out the form on the right to get your copy of Jim Agger's presentation "Stand Out from the Crowd: How to Attract and Retain the Right DTC Customers." Get more insights from the DTC Wine Symposium! 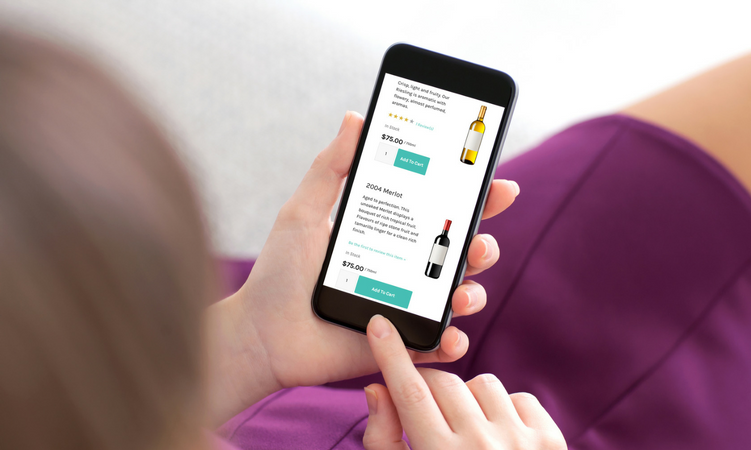 Download a copy of our presentation "Stand Out From the Crowd: How to Attract and Retain the Right DTC Customers"
Want to learn how WineDirect can help you kick start DTC sales this year?